As every school kid who has read the story of Paul Revere knows, Massachusetts played a central role in the founding of our nation. Since colonial times, the Commonwealth has provided a main stage for the development of our country's culture and institutions. The Trust for Public Land saves places that provide an irreplaceable connection to our rich history, ensuring permanent protection of our memorable past. 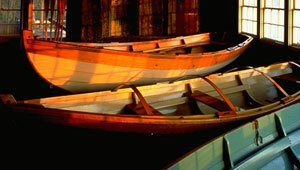 Walden Woods and Lowell's Boat Shop are just two examples of the historic places TPL has preserved.